New Jersey lawyers engaged in representing businesses and individuals in complex commercial litigation in state & federal courts, contested probate administration, criminal & DWI, real estate foreclosure, Internet law, and breach of contract disputes. Serving Northern, Central and Southern New Jersey. Will you be working directly with me, or will you assign my matter to another attorney? Diligent, hard working, and honest. That lawyers don't possess a magic wand. Lawyers cannot control every aspect of the legal process, such as the behavior of an adverse litigant or adversary counsel. Nor can lawyers predict what a judge will or won't do. Fixr has validated the email provided by LoFaro & Reiser LLP. 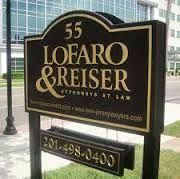 Fixr has reviewed the content provided by LoFaro & Reiser LLP to match our community guidelines. LoFaro & Reiser LLP has been rated with 28 experience points based on Fixr's rating system.